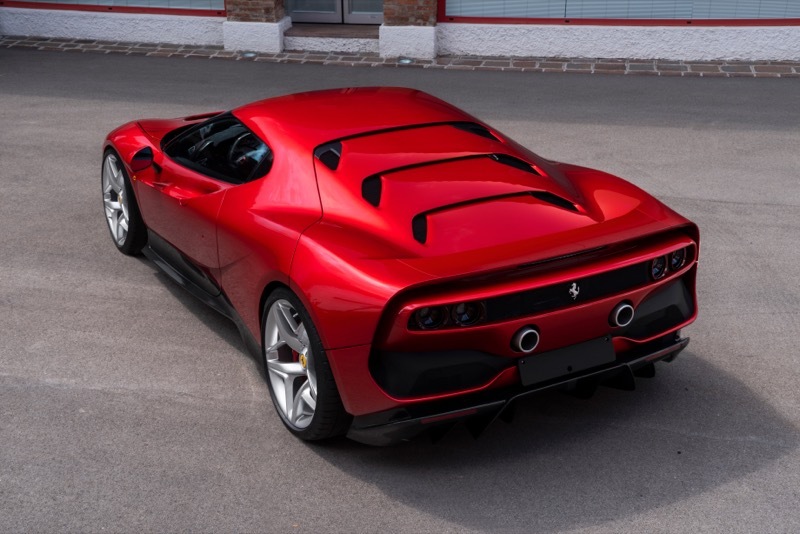 Here’s the latest Ferrari one-off from. The SP38 is the latest offspring unveiled at Fiorano where, after the ceremonial handover to one of Ferrari’s most dedicated customers, the car was immediately put through its paces in a series of hot laps. Compared to the 488 chassis, the visual mass of SP38 appears concentrated over the rear wheels as the wedge design sharply stretches towards the front. In plan view, the strongly tapered nose expands towards muscular wheelarches, giving the car potency and agility. Specific inset headlights were designed to be as thin as possible, with the mandatory DRL (daytime running lights) units relocated to add character and functionality to a slim bumper lip reminiscent of the 308 GTB. On the side, the defining air scoop of the 488 GTB is completely concealed where the sheet metal folds in on itself from the low beltline on the door and into the rear wheelarch and three-quarter light. 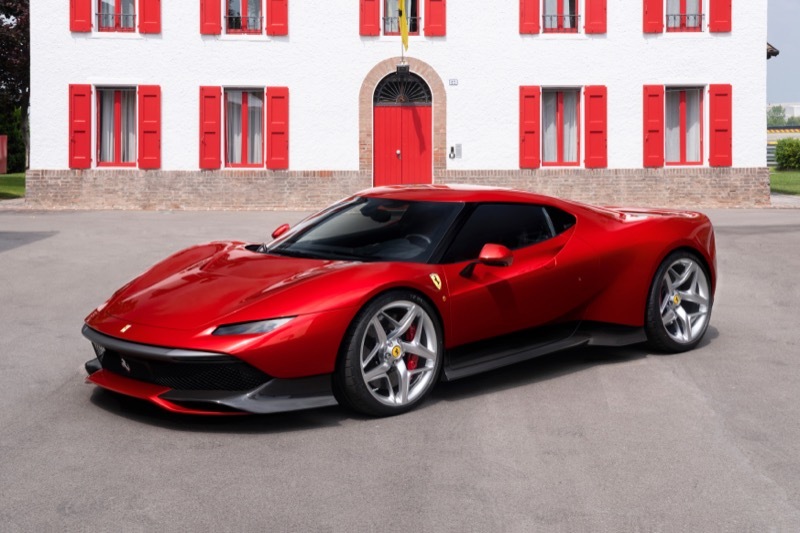 Thought we don’t yet know whether the new bodywork has had any effect on performance, but seeing as a regular 488 does 0-62mph in three seconds flat and runs on to 205mph thanks to its 3.9-litre, twin-turbo, 661bhp V8 and seven-speed DCT, the SP38 shouldn’t be too slow.